A quick succession of five direct, first time passes ushered Alan Smith’s composed finish to double Manchester United’s lead against AS Roma in a Champions League knockout game in 2007. For Cristiano Ronaldo acolytes, that game will be fondly remembered for the then prodigy’s first goals in the tournament. 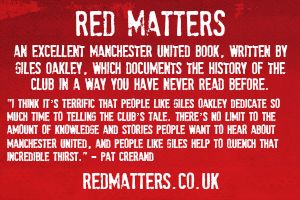 But for Manchester United, that game, particularly Smith’s goal, represented what the club was about. There is a lot to like about United even in these dull periods in the aftermath of Sir Alex Ferguson’s reign at Old Trafford. The fanbase is second to none, as Jose Mourinho noted following the latest crushing defeat against Tottenham Hotspur on Monday, with United filling every away end and singing all game, win, lose or draw. We have stayed faithful to the principles put in place by Sir Matt Busby, putting trust in the academy graduates, with the record of us including a former youth player in every match-day squad approaching its 81st year anniversary. We still command enormous amounts of wealth and elite status among the best sports teams in the world. While the team has whiffed on a long list of stellar names in recent transfers, members of the present group pack a punch. David de Gea shares the title of the best goalkeeper on the planet with Bayern Munich’s Manuel Neuer. World class outfield players are found all over the squad with Paul Pogba, Alexis Sanchez and Anthony Martial quickly coming to mind. Up and down seasons make up the cycle of every club, particularly a club as old as Manchester United, and after several prosperous years annexing titles, recent years haven’t been so successful. Yes, the 2017 Europa League and League Cup titles were clinched just over a year ago but stinging low points have come to characterise United post Fergie. Claiming the Europa League crown meant a closure few clubs can relate since the 2-0 win over Ajax ensured United has won all major trophies in the sport. Yet when surveying the lows, last season’s 2-1 loss to rivals Manchester City at home easily stands out with City dominating everything in the game and walking away with the most important stat. To see United fail to put together a worthy performance in the significant derby hit home hard and saw the beginning of the end of our title hopes for that campaign. Responding in equal measure away from home did go some way to healing those wounds but the motivation behind the win was far from the best. Beating City to avoid facing a firsthand celebration of City’s fifth league title was petty and short sighted. The broader view showed City winning the league with a whopping 19 point difference which highlighted the gulf between the two clubs. On the surface, things are looking up; last season’s point tally was the best since Sir Alex’s last run. 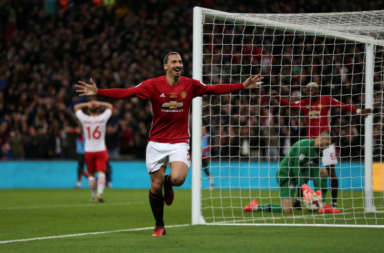 More games were won, fewer goals conceded and another title was within (distant) reach, as United could at least claim to be the best of the rest. However, a closer look at the team shows an inferior demeanour that certainly did not exist a few years back. 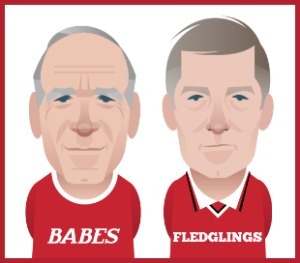 Hitherto, the opening acts this season, against Leicester City, Brighton and Spurs, would have been an unfair treat to United since Sir Alex’s boys would walk into those fixtures, win and flat out dominate. Unfortunately, United has been playing catch up even to such teams to the tune of picking up a win and two losses respectively. In the 2-1 win over Leicester, an early goal proved mightily important to get one ahead of the Foxes. Guarded optimism about the team’s play gave out at the AMEX Stadium over a week later in a drab performance that ended in a bad loss against Brighton. While the standard of football improved against Mauricio Pochettino’s men, with United creating more chances in the opening 35 minutes than they had in the whole game against Brighton, our inferior defence meant that creating three times as many opportunities to score as our opponents counted for little. Attacking opposing sides is the United way and nothing else. Mourinho and those who came after Sir Alex’s retirement, Louis Van Gaal and David Moyes, have failed to live up to such standards. Setting the team up consistently in a defence-first stance and sapping energy and confidence from players with berating public comments is churning out poor returns from a group that should be competing with City and brimming with confidence of clinching at least the league title like Liverpool. 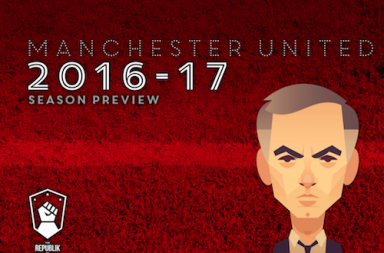 Instead, United is already second guessing its status and strategies three weeks into the new season. The entire blame can’t be placed at the doorstep of the manager because players are equally responsible for United’s present state. Players are simply not playing well irrespective of having world class conditions available to ensure consistent delivery of top quality performances. To liberate Pogba from defensive duties, United’s board has splashed hard cash on Nemanja Matic and Fred. Mourinho has given the Frenchman a free role to utilise his all round abilities and played him more in an advanced role. However, the returns have been inconsistent and poor on other occasions. Sanchez has been given time to settle on the left side of attack he was handed, despite Martial’s improved form in his second season under Mourinho, yet the Chilean has not delivered. The same can be said about Victor Lindelof and to an extent Romelu Lukaku whose first touch and questionable decisions continue to separate him from world beaters like Sergio Aguero and Harry Kane, and whose finishing letting us down against Brighton and Spurs. With constant chatter of rift between players and manager, as well as manager and management, mixed with average results et al, there is a lot to not like about United at the moment. When will the United we know and love return? Nana Aba Anamoah, a Ghanaian Broadcast Journalist, is a Manchester United fanatic. She's been following United for decades. Follow @thenanaaba on Twitter. Post Mou the Chavs have won the league and the FA Cup . Wouldn't you say Mou was a mercenary manager ? And what have Porto and Inter won? Hendrix it’s worst case scenario at the min Dippers top and Leeds top of The Championship. Bryan having a nightmare lol. B-United unfortunately mate don’t see us having the patience in this day and age we were spoiled with the Gaffer truly were be great if we could though. We are 13th at the moment. United 24 who cares about Klopp,or the dipoers United >than all that noise,comparing apples to oranges. As I said I just want to see some entertaining football,surely that’s not to much to ask for. I’m still not 100% Jose out because I think there are deeper issues but I can’t help but wonder will we bounce back perhaps ,hopefully, but I’m not backing us to win the league this season. And at what stage do we give up on Jose will a loss tomorrow be the last straw. We should be challenging for Champions league glory we aren’t. It's as clear as daylight to see the issue at hand here.. If Klopp was managing Liverpool or Dortmund in 2010 and before.. he would be nowhere near Jose's level.. in this modern era José has fallen way down the pecking order.. his style just doesn't fit..
To anyone who still believes he's a top manager, I've been asking the same question for weeks now.. still no answer..
17 trophies including 6 league titles and 2 CL's and no trophyless seasons..
3 jobs, 2 sackings (so far)..
8 trophies with 2 league titles and 0 CL's, along with 3 trophyless seasons..
His era is done.. the game has left him behind.. find me one top manager who's team plays the same football we do.. I'm not defending Jose for everything. The issue people are debating is the specific statement that he is one of the greatest. It is a fact period! Only SAF and Pep have a better body of work. You are really trying hard. So you chose his "weak" 8 years. If the statement changes to José WAS one of the best managers in the world I have no problem agreeing with it.. If we compare José at his best to Klopp at his best José comes out on top..
José has had a better career.. to be fair to Klopp his best years are seemingly ahead of him but I doubt he'll match Jose's trophy haul..
And I don't have to try hard to prove anything.. most managers don't last at the very top longer than 10-12 years.. please do enlighten us with any managers you know who've consistently challenged at the very highest level for over 15 years.. The point is, as is factually proven, which nobody can deny.. José has lost his touch.. he is no longer a great manager.. he's a washed up has been.. If this was 2004 I'd take José over Klopp in a heartbeat.. the problem is ever since the game changed to a fast paced, high press, quick football one, José failed to adapt and his methods no longer work! My point is that even in the past 4 years, his archaic methods have achieved more than Klopp and Poch. If he is washed up, what does that make them? When you add to that the fact that Klopp gets his teams to play better football, and has been at smaller teams compared to mourinho, with less spending power and has gotten more out of his players.. you get the idea.. those are the facts that nobody can dispute! He also conducts himself better, respects the club and the fans, and his opponents too.. the worse he's done is jump up and down like a maniac, not poke the eye of his opposite number! You chose a season where he was 16th midway and added to his average to pump it up. Dortmund were also battling relegation midway through Klopps season. Why don't you go and place that in the record instead of where they finished with him ( an opportunity that Jose was not afforded). What you are doing is cooking the books. Your choosing one extreme outlier is just funny. And where are Poch's trophies. Are you hiding that too ? Mobi, I'll give you some data to help you. Jose Mourinho was sacked Dec 17 2014, having lost 9 games and his team in 16th place ( above relegation zone). Now, to the greater Klopp. Dortmund bottom on Dec 1st 2014. Dortmund 2nd bottom on Dec 21st, after losing 10th game. They are both good managers in my opinion. They had bad seasons those years. Jose has been better overall. You can't pad Klopps stats. Correction. Sacked Dec 17, 2015. I just included everything.. didn't hold anything back from 2010.. you asked for his record compared to Jose's since then.. if you don't like the facts then tough luck mate..
Klopp might well have been bottom midway through the season but he recovered to finish 7th.. whereas José was just going further and further down.. why do you just want to take klopps position halfway through a season and not at the end? If you want to play that game then José is currently leading Manchester United to 13th place and Klopp is leading Liverpool to 1st! Doesn't make sense..
Cry all you want but nothing I took all the facts for Mourinho and Klopp from 2010 onwards and didn't just pick and choose..
Like I said the stats are pretty much even but Klopp has a way better style and is a much better person and achieved all of his stuff with weaker clubs on a lower budget.. Yet despite all of that you and others find it baffling he's liked and respected more than Mourinho? You introduced bias into your analysis. Of course I disagree with adding data from 4 matches, as I do from 16 matches. Are we saying Poch and Klopp and the Watford manager are better than Pep because they have a 100% record? I hope my Manchester United wins tomorrow. 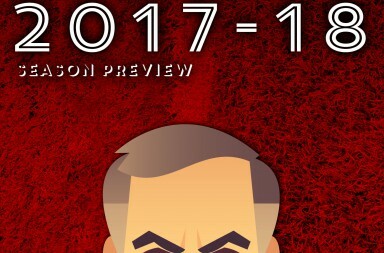 I have already said, I've become indifferent to Jose Mourinho. However, if he is up against another clubs manager, especially Liverpool, I'll stand by him. I may be upset with my brother, but if he is in a tussle with a stranger, I'm taking his side all day long. Of course we can use the 15/16 season for Mourinho.. he was sacked and that's where his season ended.. how is it supposed to be my fault that Klopp didn't fall out with his players and get sacked and was trusted enough to turn things around and then went on to do just that? Why don't you explain to me and everyone else just why Mourinhos records pre/post summer 2010 are massively different? Why don't you give us all an explanation as to why both their records are so very similar, but one managed 2 of the biggest clubs in the world, 3 of arguably the 5 richest clubs in the world and got sacked from 2 (looking likely to be 3) and served up rubbish football, whilst the other managed 2 clubs who whilst on the level of Chelsea, are nowhere near the size of Manchester United and Real Madrid, had nowhere near the amount of financial backing, yet got his teams to play quality football and kept a healthy environment? That's the difference between us..
José will never be family to Manchester United..
Best way to put it is he's my sister's boyfriend, who's attempting to change all the rules and traditions of the family and is leaving the house in tatters..
Not my blood and certainly not my family.. just a reject desperately attempting to keep up with the new guys instead! Keep tickling yourselves and laughing on behalf of Klopp. In his last season with Dortmund, he had them just above the relegation zone midway through the season. Yet he is supposed to be a great manager based on his best record of 2 league titles, whilse ours is apparently not with a better record, whether you consider the most recent complete season or past. No matter how you cut and slice it JM > Klopp.